A traveling acoustic trip! 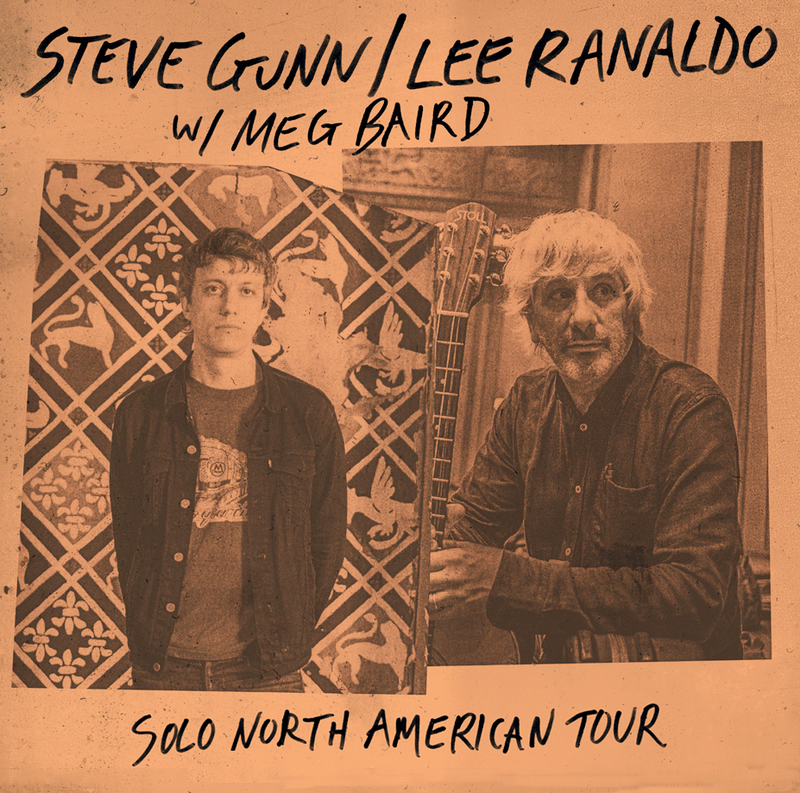 Lee and Steve co-headline this tour, with Meg supporting on all shows except Pittsburgh. Nice! I have to pick up some tickets for Thalia Hall. It's so great to finally have a venue on the southside of Chicago, and right next to a fantastic Mexican restaurant called Cantina Regio. It's also probably close to a drive-by shooting. is ticketfly owned by facebook or something? I don't like that they keep a record of every gig I go to see, although it is a very cool list if I do say so. From the initial press I assumed all 3 artists were playing solo, but according to the Paradise of Bachelors website, Nathan Bowles is playing with Steve Gunn for most of the gigs, which no one should complain about. Ticketfly was bought not too long ago by Pandora. I wouldn't be surprised if sometime in the future you won't be able to buy a Ticketfly ticket without using Pandora's app or website. Oh well, at least Ticketmaster didn't gobble them up. SOMEBODY PRETTY PLEASE GET ME ONE! I will of course pay for shipping and whatnot. MANY thanks in advance! You can send a self addressed stamp to get one. No, my current location (godforsaken hellhole) prevents me from doing that. Lee with Thurston together? what they would play together? Whatever they play it's gonna be BITCHEN — listen, the real point here is this is an opportunity for you to get me one of them Reminder BUTTONS (if they're not all gone already!). PLEASE do it. DO IT! A million thanks in advance! Ever since he was young, guitarist and singer/songwriter Steve Gunn has fostered a deep admiration for Sonic Youth and its members. For him, they stretched the rules of what a band could do, especially guitarist Lee Ranaldo. Now, all these years later, Gunn is going on a short solo tour around the country with Ranaldo. The two New York-based artists had met each other a few times over the years but hadn’t thought of a tour until their booking agency Ground Control suggested it. But it made perfect sense to them. The tour has given Gunn the chance to pick Ranaldo’s brain about his technique, among other things. In addition to playing their own sets, the two are planning to collaborate with each other, as well as opener Meg Baird. ....Now, he arrives at The Warhol Museum tonight on a solo acoustic tour, joined by Brooklyn-based singer-songwriter Steve Gunn.. doing his own set. Taking a fairly daring approach, “I’m going to be playing entirely new songs that nobody’s heard before,” Mr. Ranaldo says.The tour advances the May release of a new album written with lyrical input from his friend Jonathan Lethem, an award-winning sci-fi and detective novelist. The album, made in Spain with producer Raul Fernandez, “is super-produced,” he says. “There’s a ton of players on it: guys from my old band The Dust, Steve Shelley [from Sonic Youth], Alan Licht, Nels Cline. Sharon Van Etten sings on like six songs; Kid Millions from Oneida plays on a few songs. Lee did "Ambulancer" and "Hammer Blows" - otherwise it was all new stuff that will be on Electric Trim, which he said should be out in May. Lee was pretty feisty and angry, a lot of growling and shouting in the new songs which was cool to see. For the last song, Steve Gunn and Meg Baird joined him on stage for a cover of "Revolution Blues." Anybody make it to the DC show? I couldn't make it and I've been regretting it. The Necks 30th Anniversary performance on February 24th is SOLD OUT! If you missed out, there are two additional opportunities. Chris Abrahams, Tony Buck and Lloyd Swanton perform on February 23rd in solo performance (with a short Necks performance to follow). The Necks will also perform February 25th for a six hour long durational performance with Andrea Parkins, Ned Rothenberg, Nate Wooley, David Watson, Ira Kaplan, Lee Ranaldo, Shelley Hirsch, Joshua Abrams, and Glacial.